In 1997, looking out of the large windows into the courtyard at Columbia River High during German class, a realization dawned on me. I had been reading a book called The Great Year, recommended to me by my German teacher, Gary Lorentzen. It was written by his friend Nicholas Campion, and it was the first book that really got underneath historical narratives and showed me a new way to think about temporality and ideology—and astrology. Gary had also recommended a few books by another colleague, Patrick Curry. What all these men had in common was a practicing knowledge of astrology. But Nick and Patrick were focused on the English history of astrology, and I was obsessed with German. Sitting there, just barely fifteen, a bolt of lightning hit me, if I become fluent in German, I could grow up to become the authority on the German history of astrology. And basically every choice I’ve made since then has been in line with that vision. Now I write on the other side of spending a year in former East Germany on the Congress-Bundestag Youth Exchange scholarship (1998-1999), on the other side of pursuing my PhD in German from UC Berkeley (2004-2012), and chasing it with an MA in History of Astrology (2012-2016), and finally embarking on the actual work: translating the sources I used over the course of my education. Tony Kaes, my dissertation advisor at UC Berkeley, was fond of creating compilations of source works. He focuses on the history of film and the Weimar Republic. 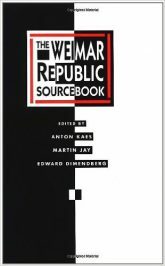 Every time I taught English-speaking students about the history of Weimar culture I used Tony’s Weimar Republic Sourcebook as a textbook. It was filled to the gills with small, inaccessible texts that had never appeared in English before. He and his co-editors constellated them around various topics germane to the subject, which resulted in a very rich overview of an era using primary sources. A genuine article. And as a teacher, and immense resource. 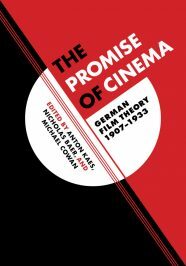 He has recently come out with a new tome gathering smaller texts around the history of film, The Promise of Cinema. (Which, for anyone who has spent hours in the microfiche rooms trying to root through the various film journals of the 20s knows, is another great contribution to the field. No more craning the neck in front of those oddly back-lit screens. Plus! The translations are ready-made to cite in your English-language articles). These two books are indispensable resources for the German scholar and also for bringing people who will never learn German into a solid understanding of what German culture has contributed to the world. The material I have discovered over the two decades I’ve been working on this topic is rich. And it would be absurd to expect people to learn German to be able to access it. Much of what I have collected, I’ve had to buy from used book stores and antique dealers. I would say I’ve invested at least $3,000 in books and journals. Libraries simply do not value what these texts have to offer. Philip Graves, my colleague in Europe knows all too well the cost of collecting these types of materials; he’s got the largest collection of astrological historical texts in the world! And while some historians (mostly Ellic Howe) have examined this period in detail, the primary sources remain behind the linguistic barrier of German. 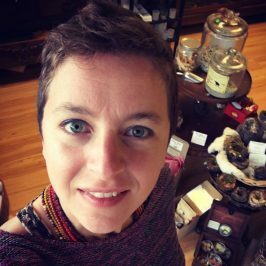 I aim to provide access to the primary sources so that other scholars and astrologers who only know English can have better access to them and read for themselves. Last week, I announced my intention to translate astrological source works that are currently in the public domain, and I already have 26 amazing folks supporting this effort (thank you!). As I work through these texts, I aim to publish them in a similar vein as Tony’s two source work projects. Patrons who support me at the $10/mo level and up will get all copies of everything published. What’s more, as this next decade proceeds (and if the copyright laws do not change), more and more material will start to become available. In 2018, foreign-published material from 1923 will enter the public domain. In 2019, material from 1924, and so on… As we approach 1926/1927, we hit a zenith of astrological publishing, and I’ll have heaps to do. Right now I am starting with a text from 1915 about the astrology of WWI. If this project excites you, and you want to get in on the play-by-play and learn as I go, please support it through Patreon. This is a project with deep historical scope that will far outlive any topical podcast or horoscope column. My vision is that unborn generations will be able to look back on this and benefit from what they can learn about this rich period of astrological history. And I also hope that it provides an alternative to the known English history of the early twentieth century, so that the German/English linguistic barrier may be overcome and the astrological community can come to know itself and its past better. I’ve spent the better part of two decades getting ready for this moment. Now I’m inviting you to join me in helping make it happen.